Ornette Coleman’s early work hit some of his contemporaries—Paul Bley, John Coltrane, Sonny Rollins, Jimmy Giuffre—with great force. This music set off or encouraged subsequent movements in free or experimental jazz, particularly in Chicago and Europe. 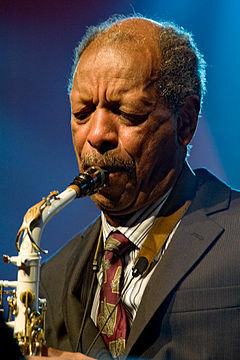 Coleman’s handling of melodic improvisation and group arrangement has inspired Pat Metheny, Keith Jarrett, Branford Marsalis, Ethan Iverson, and many others in jazz. It has also inspired, perhaps less directly but no less profoundly, all kinds of other self-starters and outliers. The plaintive, aggrieved rasp Bob Dylan used on tour in front of his electric band in 1966 could have come from lots of places, but something tells me it came from here. A lot of post-punk was a loose translation of an impulse that began with this music; there is a post-Coleman aesthetic line in it that includes the Pop Group, the Slits, the Raincoats, V-Effect, the Minutemen, and the ongoing work of Neneh Cherry, daughter of Don Cherry.